To help community health centers succeed in community improvement through increased revenue opportunities. 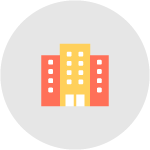 We believe that optimizing your revenue cycle will benefit your community by improving your available resources for operational and staffing needs. Increasing resources for staffing means more jobs and higher wages for the community. Enhanced operational resources directly benefit the community by further adding to your service offerings and facility. We calculate physician billing service fees for each of our clients based on three factors: medical specialty, practice’s volume, and payer mix. Once calculated, our total fee is derived completely from your practice’s realized client revenue. The success of our billing company is directly linked to the success of your practice. There are no hidden fees.